If you are looking for information on the Advanced Dynamic Services franchise business opportunity, Advanced Dynamic Service franchises or Advanced Dynamic Services franchising, then you have come to the right place. 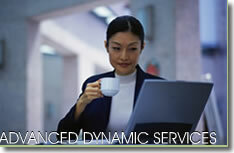 Advanced Dynamic Services (ADS) is a company dedicated to delivering the best resources to you and your company. We service companies nationwide providing point-of-purchase programs and cash to retailers, restaurants, non-profit organizations and professional groups..... Having cash readily available for your business in today's competitive economy is crucial. 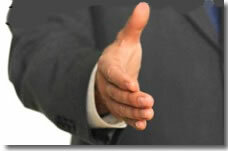 We have skilled account executives on site to handle all of your financial concerns. ADS has many unique programs to fit each individual company providing you with the money you need. We also offer free products and valuable services designed to help your business flourish. Whether lowering the rates on your credit card processing, or giving your company the cash to expand.... ADS is there for you! Small Business Loan with no Income or Asset Verification! Apply for a loan to help start up a business or expand. Loans from 5k - 50k with rates of prime plus 3.25%-4.75%. We offer this program with no income or asset verification. Even if you have just started your business the same day you apply! However, if you do happen to get declined, your application fee will be waived. Also apply for our Business cash advance where bad credit is not an issue! We get the cash to you in 5 to 9 business days, so the sooner you get us the credit card processing statements the faster we get you the cash. Also remember that over 98% of our applications are approved so this should be a smooth process. Since we utilize more than one bank and processor, we can offer low rates for our high level of services. We will also customize your business payment processing. Make extra money and raise the traffic flow in your store with an ATM machine. Apply today to find out if your store qualifies for a FREE ATM machine! Advanced Dynamic Services (ADS) carries a vast inventory of credit care processing equipment, software, and terminals. We deploy everything from refurbished economical terminals to state-of-the-art touch screen, signature capture, smartcard enabled, integrated thermal high-speed credit card processing systems. In the present day standalone terminals with separate printers have become entirely obsolete. They lack sufficient memory for additional applications like gift cards, age verification, and check services. Most modern equipment has an integrated terminal and printer for simplicity and space saving. For assistance in deciding what credit card terminal or software is perfect for your business, please contact us today! Need a credit card machine? Apply today and receive a new free credit card machine with the lowest credit card processing rates around. Advanced Dynamic Services (ADS) has been established to provide cost-effective credit and debit card processing for retail and business-to-business merchants. We also offer point-of-purchase programs to retailers, restaurants, non-profit organizations and professional groups nationwide. The success of Advanced Dynamic Services is not only due to our attention to advances within the credit card industry, but also to the partnerships we develop with our clients (which enables us to provide them with the most comprehensive merchant services available). Because Advanced Dynamic Services is a leader in electronic commerce and retail payment services for restaurants, home-based businesses, professional services (physicians and attorneys), mail orders/infomercial, telephone order merchants and transportation companies, (taxi drivers and limousine services) you too could benefit from our excellent services. Take the time to become a sub-office of Advanced Dynamic Services (Partner). Be able to make some money full-time or part-time, offering all the services we do.